Awarded Bespoke Guild Mark No. 465 by The Worshipful Company of Furniture Makers, June 2017. Inspired by the stance and hide patterns of a young deer. An elegant study in form, texture and contrasts. A forest-dwelling deer with a greyish winter coat that turns yellowish-brown with white spots in summer. The curved legs are hand shaped out of solid rippled sycamore, which has been bleached to give a bone-like quality. 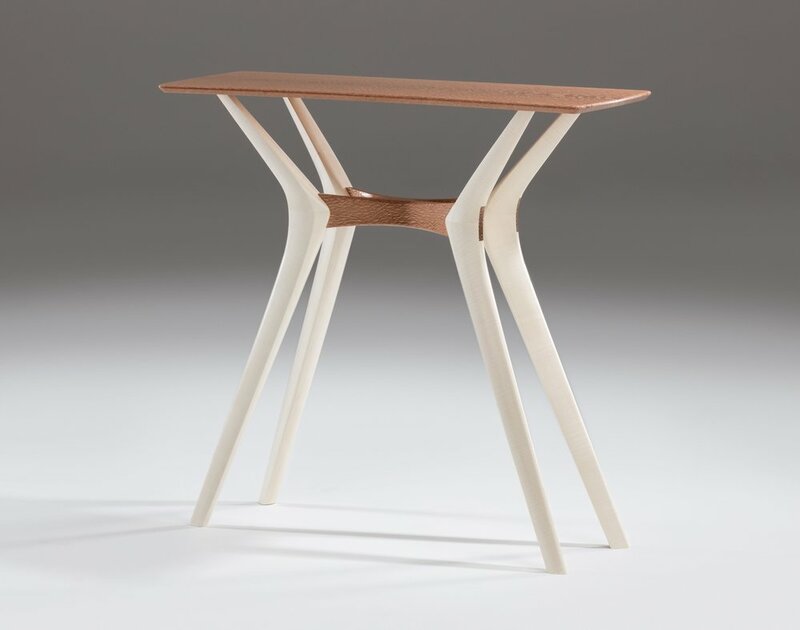 The cross-piece which connects the legs is formed from a stack over sixty layers of thin silky oak wood veneer, laminated with resin over a curved former and then cur lengthways and mirror flipped to give the symmetrical x shape. 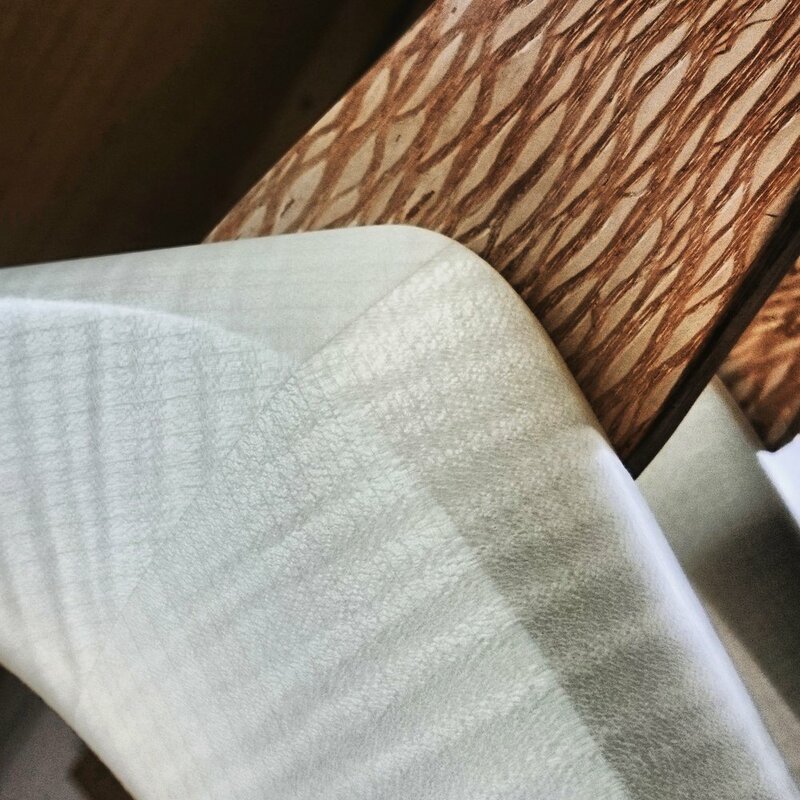 The through-tenon joints to the legs display high level craftsmanship and expose the intriguing 'end grain' pattern created by the lamination technique. The table top features the highly figured silky oak veneer over a substrate reinforced with aluminium honeycomb and carbon fibre, to provide strength and stiffness along its length despite its thin profile. Laminated veneer stacks also feature in the long-grain and end-grain lippings which surround the table top, giving the impression of it having been crafted from solid wood.